A Tory MP is to retire after admitting he claimed a £1,645 "duck island" on expenses - as two Labour ministers face questions over capital gains tax. 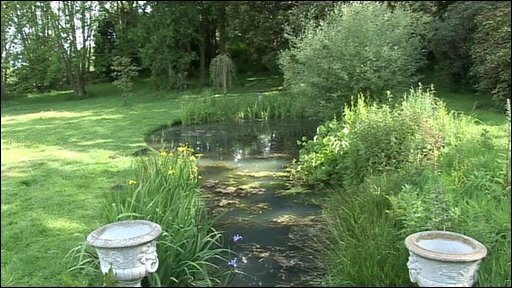 Sir Peter Viggers, whose gardening claims totalled £30,000, is to quit at "the direct request of David Cameron". 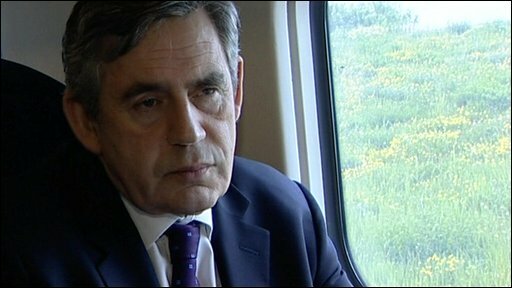 Meanwhile Gordon Brown defended James Purnell and Geoff Hoon, saying they had complied with the "spirit and letter" of rules over the sale of London homes. They both insist they did nothing wrong by not paying capital gains tax. After hearing about the latest expenses revelations, Tory leader David Cameron told Gosport MP Sir Peter he faced the removal of the whip if he did not announce that he would withdraw at the next election. The Conservatives' scrutiny panel will decide what figure Sir Peter will have to pay back. Sources say it will be a "substantial sum". Sir Peter said the claims he made "were in accordance with the rules at the time, and were all approved by the fees office". He added: "As with all other Conservative MPs my expenses are being examined by David Cameron's scrutiny panel and I await any recommendations they may make." Meanwhile Mr Brown, who has said Hazel Blears' failure to pay CGT on her second home was "totally unacceptable", said he did not believe Mr Purnell or Mr Hoon should repay any money. ''I think it's important that they have made statements, they have said... what they have done," Mr Brown said. Work and Pensions Secretary Mr Purnell was reported to have sold his London flat in October 2004 - designated as his second home for Commons expenses purposes - but not paid capital gains tax. Under tax rules, sellers can claim a property is a main residence for CGT purposes, as long as they lived there less than three years before the sale. Mr Purnell's spokesman said the allegations were "completely untrue" as Mr Purnell had bought his constituency home at a time he was trying to sell his London flat. "The sale of his London flat fell through, but it was sold within the period that HM Revenue and Customs continue to treat it as not being liable for CGT," he said. He said he now rents his "second home" so would not make any capital gains on it and had double checked with HMRC, which had confirmed he was not liable. "No one pays CGT when they sell the only house they own and James was not liable for capital gains tax on his London flat." Mr Hoon reportedly did not pay CGT when he sold his London home for a large profit in 2006. The property was not designated as his second home - but he had been living in a grace-and-favour flat before selling it and telling tax authorities it was his main residence, the Telegraph reported. He then bought a new London property and claimed second home expenses on that, it was reported. Mr Hoon said he had moved into the grace and favour flat for security reasons - which was cheaper for the taxpayer than staying where he was and paying for extra security - and had fully declared that the property had been rented out to the Inland Revenue. There had been no liability for CGT, he said. Mr Hoon said: "I reject any suggestion of any wrongdoing in relation to my declarations to the House of Commons authorities and HMRC. "I have been consistent in my declarations to both parties and I have been assiduous in ensuring that I have met my reporting obligations and my tax liabilities." He said he had bought the London home in 1991, before becoming an MP and had his tax declaration checked when he sold it in 2006 - he said HMRC had confirmed there was no liability for CGT. Communities Secretary Hazel Blears has already repaid £13,332 CGT on the sale of her second home, in response to anger among her Salford constituents. The BBC's political correspondent Carole Walker said Ms Blears, Mr Hoon and Mr Purnell all appeared to have complied with the same rules which state MPs can nominate a secondary residence for capital gains purposes - and that this does not have to be the same as the designated second home on which MPs draw expenses. The fact Gordon Brown has taken a much harder line on Ms Blears than other Cabinet ministers over tax has led some people to argue she is being singled out for political reasons - after her recent criticism of the prime minister's performance. The 14th day of Daily Telegraph revelations have also prompted Tory whip Bill Wiggin to say he made a mistake in claiming for a mortgage that did not exist on his second home. 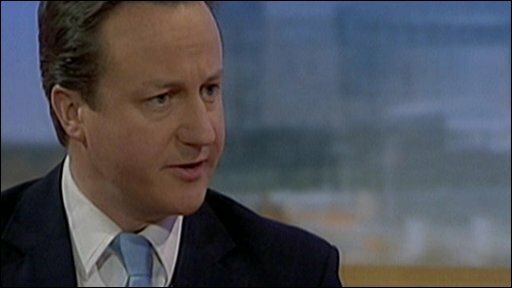 Mr Cameron told GMTV that Mr Wiggin's claim for a non-existent mortgage was "a bad mistake but it looks like it's an honest mistake and he was not claiming money that he wasn't entitled to". Mr Wiggin said he had intended to claim for interest on the mortgage on his London home, but made a mistake in putting his constituency home on the internal form. "At no stage have I ever sought to mislead anybody," he said. After 23 months the Fees Office spotted the error on the accompanying form, and he corrected it, he said. "I only have one mortgage, it's on my London home which is my second home. I've only ever claimed public money on the mortgage I have got and it matches to the penny," he told BBC Breakfast. And former cabinet minister Ruth Kelly defended herself over reports she claimed for flood damage despite having insurance. The paper alleges that Ms Kelly claimed thousands of pounds of taxpayers' money for flood damage to her second home, despite having a buildings insurance policy at the time. She told the BBC that "my claim was neither ludicrous claim nor a phantom claim". Ms Kelly argued that the furniture which needed replacing was "worthless" since it was 30 years old, having been inherited from her parents - and so could not have been claimed on insurance. She said the rebuilding work was handled in her absence while she was juggling being a minister and the mother of four young children, but conceded that she did not explore whether she could have claimed on her building insurance. Two Tory MPs - Douglas Hogg and Sir Peter Viggers - had previously said they would stand down at the next general election following Daily Telegraph reports about their expenses. Wirrall South Labour MP Ben Chapman has announced he will do the same. On Wednesday Commons leader Harriet Harman set out changes to MPs' expenses and said she would put Parliament "above reproach". Meanwhile leader of the Public and Commercial Services union Mark Serwotka has said in the face of a "morally bankrupt" government the union is to consult its members about putting up union candidates in future general elections. Is the row over MPs' expenses now over? Is the mortgage claims ban enough?